Ryan graduated from the University of Utah with a bachelor of arts in political science. 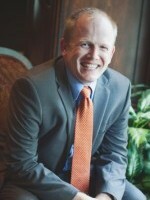 He attended law school in Tulsa, Oklahoma, at University of Tulsa College of Law, graduating in 2007. During his time there, Ryan received the Chandler Award for the Most Inspiring Student, and served as the Speaker of the House for the Student Bar Association. He also participated in the Muscogee (Creek) Nation Legal Clinic. Before entering law school Ryan worked as a Deputy Court Clerk in the Fourth District Court of Utah for Commissioner Thomas R. Patton. He observed over 2000 hearings during that time with the Commissioner, and saw firsthand the importance of being prepared for any legal issue that may arise. Ryan was recently named the Utah Parental Defense Alliance “Rookie of the Year” for 2013, an award given to the most outstanding Parental Defense Attorney practicing Parental Defense for less than 5 years. Passionate about family law, Ryan understands that it is a highly complex and diverse area of the law and is especially skilled at helping his clients navigate the process with honest assements of the issues, understanding and compassion. Ryan and his wife are the parents of three children. He enjoys spending time with his family, especially at various sporting events, and loves getting the opportunity to go out and enjoy a good round of golf, game of basketball, racquetball or water-skiing.